CANCUN, Mexico, December 11, 2016 (ENS) – In a move that aligns the interests of conservationists, farmers and ranchers, Brazil’s Ministries of Agriculture and the Environment have pledged to jointly restore and promote sustainable agriculture across 22 million hectares of degraded land. Covering an area the size of Uruguay, this is the largest restoration commitment ever made by a single nation. 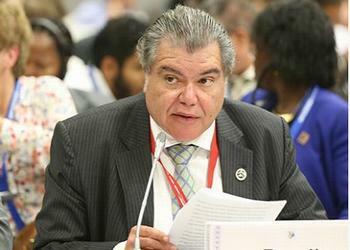 Environment Minister Jose Sarney Filho and Blairo Maggi, minister of agriculture, livestock and food supply, announced these plans at the 13th Conference of the Parties on Biological Diversity, COP13, underway in Cancún through December 17, as part of the UN Conference on Biodiversity. 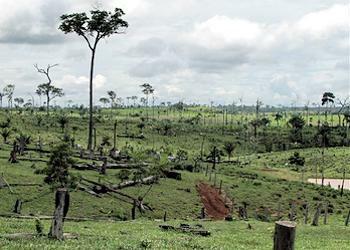 The Brazilian officials promised to restore 12 million hectares of deforested and degraded forest land by 2030 through forest restoration, reforestation and natural regeneration. The government will implement five million hectares of integrated crop, livestock and forest management by 2030 through Brazil’s low-carbon agriculture program. In addition, the government said it aims to restore five million hectares of degraded pasture land by 2020, for a total of roughly 22 million hectares that will be restored. The commitment results in doubling of the hectares committed to Initiative 20×20, a country-led effort to restore 20 million hectares of degraded areas in Latin America and the Caribbean by 2020. The World Resources Institute, WRI, headquartered in Washington, DC, has worked to bring about land restoration in Brazil. Rachel Biderman, director of WRI Brasil, praised the government, saying, “Brazil is once again demonstrating global leadership with its ambitious restoration announcement in Cancún. “Restoring 22 million hectares – an area larger than Uruguay – will absorb huge amounts of greenhouse gas emissions, generate clean and plentiful water and boost agricultural productivity,” Biderman said. “Restoration, by increasing the functionality of degraded lands, is a smart approach to advance Brazil’s environmental, agricultural and development objectives,” Biderman believes. Brazil’s restoration of 12 million hectares of forest landscapes will deliver economic benefits from forestry as well as promoting biodiversity and water management. The commitment of five million hectares of integrated crop, livestock and forest management will boost agricultural productivity while reducing emissions. Brazil’s ranchers and cattle industry will also benefit from increased productivity and sustainability through five million hectares of pasture land restoration. The commitment provides a way for Brazil to accrue what Calmon called “huge emissions savings” for the country’s Nationally Determined Contribution to the Paris Climate Agreement. Brazil will enjoy the support of the international community with this contribution to the Bonn Challenge and New York Declaration on Forests – partnerships that aim to restore 150 million hectares of deforested and degraded land by 2020 and 350 million hectares by 2030.